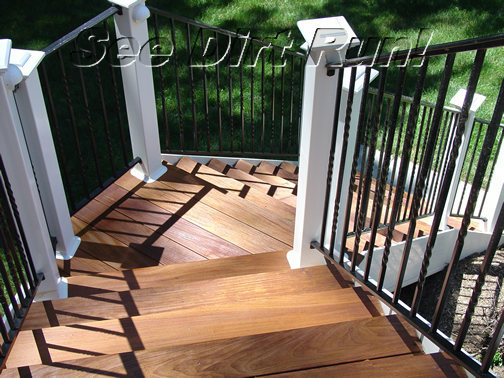 Ipe, Mahogany and Hardwood deck pressure washing, stripping, maintenance, repairs and sealing Maryland and Virginia - See Dirt Run! Inc.
Ipe and Mahogany Deck Maintenance Washing & Sealing and by See Dirt Run! Inc.
Ipe, Cambara, Mahogany, Brazilian Redwood and Purpleheart have become popular choices in decking material for several reasons. They are beautiful woods that are durable and elegant, and they are by the definition of some, low maintenance. Ipe deck care and maintenance is an annual investment, since the wood is so dense and will not allow for much penetration of any wood sealer or stain. Pressure washing Ipe using the correct methods and cleaners is suggested for annual maintenance. Pressure cleaning and sealing Ipe, Cambara, Mahogany, Brazilian Redwood and Purpleheart annually will give these hard woods the lustre many owners desire for a period of months before the deck needs to be washed and sealed again. We suggest having your Ipe, Mahogany, Cambara, Brazilian Redwood, or Purpleheart deck pressure washed and sealed annually in the spring so that you may enjoy the deck during the peak of the year. Pressure washing (sometimes called power washing) an ipe deck is only part of the correct process for care and maintenance. Sometimes a deck needs to be stripped, and sometimes it only needs a maintenance wash. What your ipe deck needs can only be determined by visual inspection. Alkaline cleaners are used to remove accumulations of mildew and algae and as required, old sealer or stain. Once this has been done the ipe deck needs to be neutralized so that the pH of the wood is correct when it is sealed. Ipe is the second hardest and most dense wood known to man, and will not hold a penetrating sealer for long for this reason. 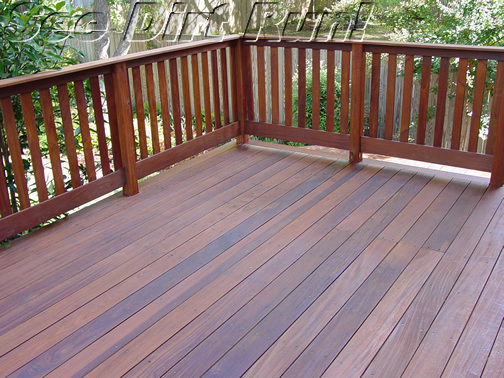 Ipe deck owners should expect to get their deck washed and sealed annually. For those who enjoy the silver patina the unsealed wood takes on, annual cleaning is sufficient. See Dirt Run! 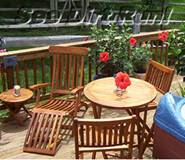 Inc. suggests annual deck washing and sealing for those who want their decks to look finished during the summer months. Deck washing and sealing means more than one trip to your home. The first trip is to wash or strip your deck, the second trip is to prep and seal your deck. Deck washing should always be performed with the correct amount of pressure, or PSI, for the job. Excessive pressure can cause damage, and too little can result in an inferior result. We use the correct amount of pressure for deck cleaning as prescribed by US Forest Laboratories and the PWNA's Wood Certification. Sealing or staining wood needs to be done when the wood is dry to the correct WMC, or wood moisture content. Any sanding that takes place needs to be done with the correct grit. You can see that ipe deck washing and sealing should be done by an experienced professional with a thorough understanding of the wood. FICTION: Sealers and stains last just as long on ipe as they do on cedar or pressure treated lumber. FACT: Ipe is the second most dense wood known to man. There is a direct correlation between wood density and product absorption. Less absorption means a shorter product life. FICTION: Washing or stripping a hardwood deck should be done the same way for ipe or mahogany as it is for cedar or PT lumber. FACT: Each wood species is unique and the properties and condition of the wood should be considered before any one method is used. 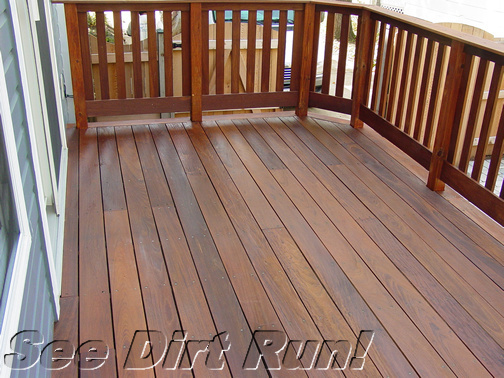 "See Dirt Run!™ Inc. is not your typical deck cleaning company. These professionals thoroughly examine your deck before providing an estimate. Then they clean it as if they are restoring a work of art. The sealing/staining is done by hand, methodically and meticulously; they not only cover siding, windows, and downspouts with plastic, but they cover the soil and flagstone on the ground with cloths! Our deck looks brand new and fantastic!" To schedule your estimate contact our office at 301-540-1243. You may also contact us via the form link below. The form will also allow you to upload photos of your home. MHIC #86481. 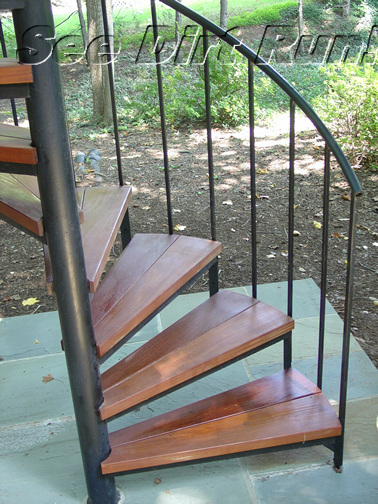 We offer professional pressure washing, deck stripping, maintenance cleaning and sealing for a variety of hardwood species such as ipe, Pau Lope, cambara, purpleheart, mahogany and brazilian redwood. Part of a beautiful outdoor living space is the furniture you use. If you own teak, ipe, brazilian cherry, cambara, mahogany, balau, cedar or pine furniture and want it properly maintained, contact our office. If a picture is worth a thousand words, then these customer video testimonials will speak volumes. Our clients share how they felt about our company and the services we performed on their decks, porches, log and cedar homes. Some clients are soft spoken, and you may need to adjust your volume. If you have a home made of vinyl or aluminum siding, stucco, brick, EIFS, or stone or have a pool apron, tennis court, basketball court, walkway, concrete pad, patio, flagstone, aggregate or other stone surface that is dirty around your home call us, we can help. We can remove the build up of mold, mildew, algae, and dirt and can also tackle tougher stains such as rust. Ask about our concrete sealing service. Copyright © 2017 See Dirt Run! Inc. All Rights Reserved. No content on this site may be used without expressed written permission. See Dirt Run!™ Inc. is a Registered Trademark.